Austria has a small online dating scene compared to its neighbor Germany. Don’t let this deter you though from giving online dating a try in this country. There are a few websites that dominate the market and have lots of users. With enough work on your part, you should be able to get at least a few dates, and maybe more. Without further ado, here is the quick list of the top three dating sites in Austria. I’ll go into more detail in my reviews below. 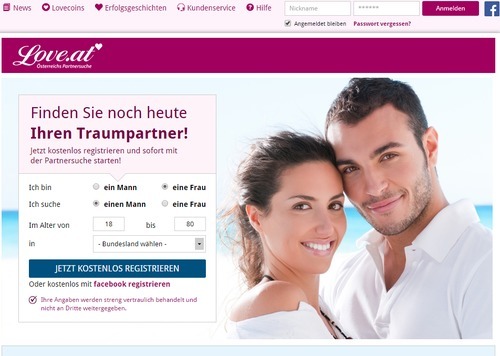 Love.at is the best online dating site in Austria and has the most members by a long shot. Most of the users are from Austria, with a high concentration of members living in Vienna and Styria. Love.at has a simple sign-up process. After registering, you will receive an e-mail with an activation link. Be sure to click that link so that your profile is not deleted. After you click the activation link, you can then get started filling out your profile and then fill out what your dream partner should be. One thing I like about Love.at is that you can segment by category. You have the option to look for travel partners, adventure partners, activity partners, friendship, relationship, or marriage. Totally cool. Another cool feature is the verified profile. You can register your mobile number and get verified as a real person. I really wish all dating sites would add this functionality because it can be so frustrating to send out a lot of messages and get so few responses due to profiles being faked. To really get the benefit of all Love.at has to offer, you need to pay. Paying will enable you to do things like send private messages, see all the photos of other members, see who is saved as favorites, etc. This is definitely the site to pay for if you are short on cash and only have the money to pay for one site. Obviously, Love.at is not perfect. After all, you are dealing with people. 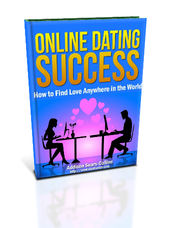 And as I mention in my online dating e-book, when you are dealing with people, there will be women or men who you will not click with or who don’t respond to your messages (or just disappear). There will be women or men who might only be interested in helping you to part with your money. That is life. My advice based on years in the dating trenches: Keep your head up and continue sending out messages and reach out until you find the person you are looking for and get success. Dating is a numbers game, and you can expect a response rate of around 1-10% depending on how good your profile is. (response rate = people who will respond back to you to whom you sent an introduction message). Parship.at is a good second choice. They have been around a long time (founded in 2000) and are really strong in neighboring Germany. As is the case with most dating sites, there is a free and a pay acccount. To pretty much get any useful functionality out of Parship though, you will need to pay. The good side is that this payment helps keep the riff raff out and filters out a lot of the pretenders. My tip for Parship is to really spend some time filling out the questionnaire. It is the key to finding a good match. 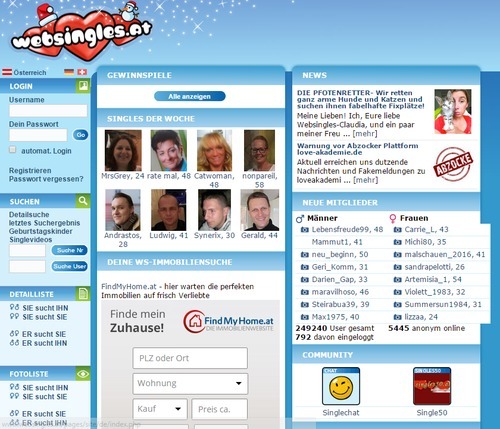 WebSingles.at is old school in design. It is not as big as the sites above, but it is free. This would be my third choice if the well runs dry at the other Austrian dating sites. Like Parship, WebSingles.at has been around for ages. Other sites that you can try are Badoo.com and OKCupid.com if you really run out of options. These sites are full of low quality profiles (and many profiles that appear to be complete fakes), so only use this site after you have exhausted the sites above.